Mark your calendars! 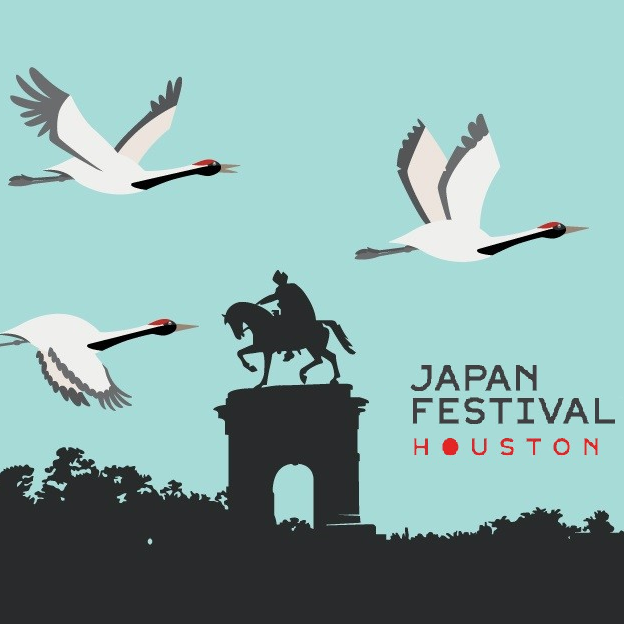 Houston's much beloved JAPAN FESTIVAL will be returning to Hermann Park April 13-14, 2019! As we celebrate 26 YEARS and mark the end of the HEISEI era, the festival promises family-friendly fun with authentic food, entertainment, arts and crafts, exhibits and demonstrations. For details and programming highlights are to come, visit houstonjapanfest.org for information. Every spring, we come together to ensure the Japanese Garden in Hermann Park looks its best! This year's Spring Garden Cleanup is ever more special, as we will be preparing the grounds for Japan Festival's 26th Anniversary Celebration - On Your Mark…TOKYO! From cleaning the teahouse to raking leaves and pine needles -- there is so much to be done and only a short period of time to do it in! Tools & instructions will be provided by the Houston Parks and Recreations gardening staff. Volunteers are encouraged to bring your own gloves, individual water bottles, sunscreen, and insect repellent, if needed. To join the efforts, please complete the form below. 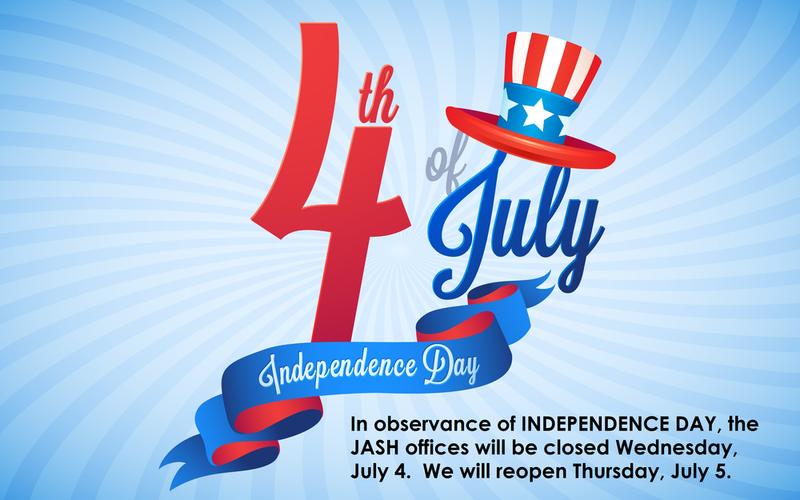 I am not a JASH member but would like more information. Thank you! We look forward to seeing you in the Garden on March 30. JASH will be serving as NAJAS/Keizai Koho Center Business Speaker Series host to highlight the 2015 $7.5 billion merger of Tokio Marine (TM) and Houston-based HCC Insurance Holdings Inc. to form Tokio Marine HCC. Tokio Marine North America, Inc. President & CEO Yasu Fukuda will be speaking to TM Group's global strategy, and Tokio Marine HCC President William Burke will be speaking to the synergy and merit of joining the TM Group. KEIDANREN USA is the U.S. liaison entity for KEIDANREN, the Japan Business Federation. KEIDANREN is a comprehensive Japanese economic organization with a broad membership consisting of 1,329 Japanese companies, 109 industry associations, and 47 regional economic organizations. KEIDANREN USA’s office is located in Washington, DC. Its core mission is to facilitate more engagement by the Japanese business sector with the U.S. policy making community, and to promote the very real contributions (in terms of investment and jobs) being made by Japanese companies to the U.S. economy. For information on purchasing tickets/tables, please see below. The Houston Regional Japanese Language Speech Contest will take place on February 16, 2019. Japanese language learners of all levels and ages in the Greater Houston area will demonstrate their oral Japanese communication skills for a chance to compete at the 30th Annual Texas State Japanese Language Speech Contest. Click here to register online. Registration will remain open through February 1, 2019. At long last, the winner of the 2018 Cannes Film Festival’s Palme d’Or - Shoplifters (Manbiki Kazuko) - will be making its Houston debut. JASH is honored to support The Museum of Fine Arts, Houston (MFAH) as they present the highly acclaimed film in six (6) screenings from January 31 through February 7. Director Hirokazu Kore-eda‘s most recent masterpiece unveils a compassionate and complicated story of a Japanese family that subsidizes its working-class existence with petty thefts. After one of their shoplifting sessions, Osamu (Lily Franky) and his son come across a little girl in the freezing cold. At first reluctant, Osamu’s wife agrees to help after learning of the hardships the girl has faced. Although the family makes barely enough money to survive, they stay happily together until an unforeseen incident reveals hidden secrets. Shoplifters—which has been nominated for the 2019 Oscar for Best Foreign Language Film—has garnered nearly unanimous rave reviews. Read an interview with director Hirokazu Kore-eda. JASH is pleased to present the Fourth Annual Japan Update Houston Conference, on Friday, January 25, 2019. This conference, made possible with support from The Sasakawa Peace Foundation and the National Association of Japan America Societies (NAJAS), will provide the Houston-Harris County community with the opportunity to explore impact of U.S-Japan energy partnerships on our area. With the Japan-United States Strategic Energy Partnership having recently been formed, the United States and Japan have emphasized their commitment to strengthening energy security and promoting energy access. The partnership has become ever more meaningful as U.S. and Japan companies jointly prepare for openings of LNG hubs in our area. Join distinguished guests and industry leaders for an in-depth look at Japan's energy policies and U.S.-Japan energy partnerships in the face of profound change in the energy sector. The Japan-America Society of Houston (JASH) offices will be closed on Monday, January 21, in observance of Martin Luther King Jr. Day. Japanese private tutoring sessions and group Japanese classes have also been cancelled. Normal business hours and classes will resume on January 22. Every year, more than 25,000 racers from across the globe descend upon Houston for the Chevron Houston Marathon and Aramco Houston Half Marathon. As runners tackle Houston’s highly acclaimed course, JASH will be joining the more than 250,000 supporters and spectators in sharing Houston’s hospitality. Come help us cheer on the runners - including Japan’s marathon record holder Suguru OSAKO, the Consul-General of Japan in Houston and JASH’s President and Vice President - to the finish line in Japanese fashion! JASH has been placed on MILE 7 of the course at the intersection of Bissonnet & Hazard in front of Picnic Box Lunches, and we can expect to see runners pass through this location from around 8:30AM. Please click here to view the 2019 course map with road closures. To join the JASH HOOPLA BRIGADE, please complete the form below. 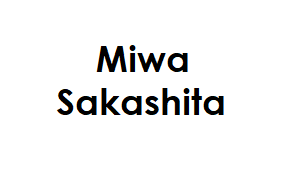 Should you wish to register as a group, please contact Ikuyo Katayama at ikatayama@jas-hou.org. We look forward to seeing you on January 20! Please let us know if you are in need of documentation for volunteer service hours worked. On Saturday, Nov. 17 at 6 p.m., Sister Cities of Houston presents its 2018 Annual Fall Concert “Sister Cities – Citizen to Citizen Diplomacy” at MATCH. The Fall Concert is an annual international variety show that features local and international performers from Houston and its 18 Sister Cities to celebrate how arts and culture empower communication across communities. Ballet Folklorico Raices del Peru, Peruvian Cultural Dance, Xena Aouita vocalist who draws inspiration from her Moroccan roots, Langham Creek Choir, Solero Flamenco, Houston’s premier flamenco performance company, Dance of Asian America, Chinese cultural dance. Admission of $25 includes the Annual Fall Concert and a reception with the performers and international dignitaries immediately following the show. To purchase tickets, go to www.matchouston.org or call 713-521-4533. Sister Cities International was created by President Eisenhower to help build the road to enduring peace and prosperity between people from different communities around the globe. Each year, the founding organization, Sister Cities International, selects a new host city for the prestigious Annual Conference, which highlights Sister Cities’ mission. Houston has been selected to host the 2019 Sister Cities International Annual Conference. Houston Sister Cities of Houston includes 18 international cities: Abu Dhabi, Baku, Basrah, Chiba, Grampian Region, Guayaquil, Huelva, Istanbul, Karachi, Leipzig, Luanda, Nice, Perth, Shenzhen, Stavanger, Taipei, Tampico and Tyumen. Sister Cities Houston is a nonprofit, volunteer-based organization created to develop and implement programs and activities that connect the cities on mutually beneficial matters. Reflecting the vision of Sister Cities International, Sister Cities of Houston was established to promote the values of sister city relationships which include citizen-based international understanding, cooperation, and people-to-people exchanges. Sister Cities of Houston’s goals are to raise awareness in the community about Houston’s 18 relationships as well as support the activities of the individual sister city associations, which involve developing intercultural appreciation, promoting international trade and commerce, and increasing tourism. 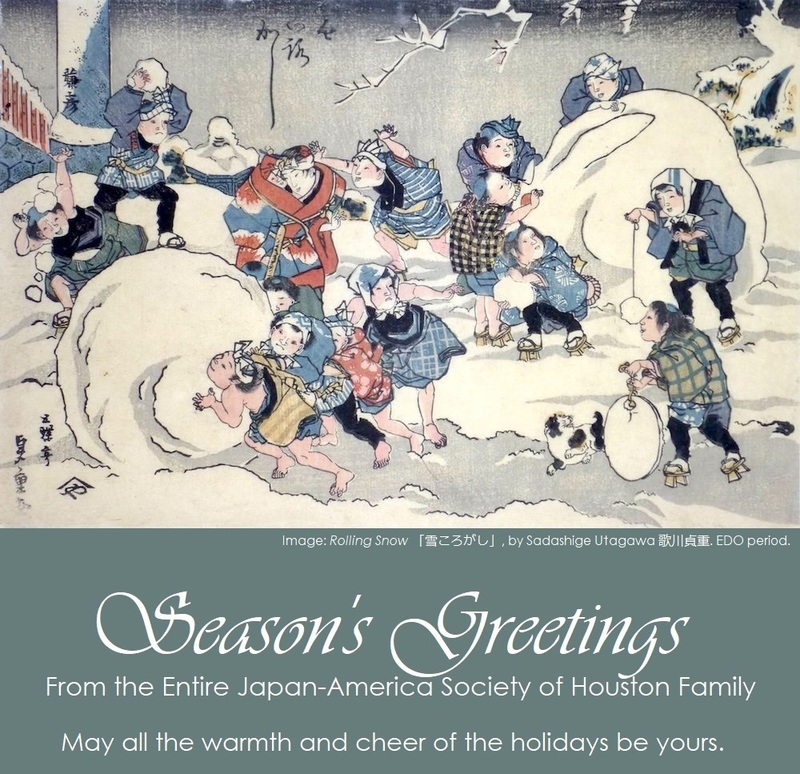 Since 1968, the Japan-America Society of Houston (JASH) has operated as the only organization dedicated entirely to fostering relationships between Japanese and American members of the Houston community. To celebrate our 50th Anniversary, JASH will be hosting a gala and silent auction on Saturday, November 3, 2018 at River Oaks Country Club. At the gala, JASH will present the first J. Thomas Schieffer Leadership Award to former Japanese Ambassador to the United States, The Honorable Kenichiro Sasae, and his wife, Nobuko Sasae. JASH also will present to distinguished Houston businessman and civic leader, Marc Watts, CEO of The Friedkin Group and Chair of the Greater Houston Partnership, the first Houston-Japan Friendship Award. Learn how you can support the JASH 50TH ANNIVERSARY GALA, and the education, business and cultural initiatives that it makes possible, by clicking on the buttons below. To mark this milestone, a tea demonstration and luncheon will be held at The Westin Memorial City Wisteria Room on Saturday, October 20. Free presentations on tea will be held in the Rice Memorial Center Grand Hall on Friday, October 19, 2018, from 1PM to 3:45PM. RSVP to Ingrid Hill at ingridh@colechem.com. 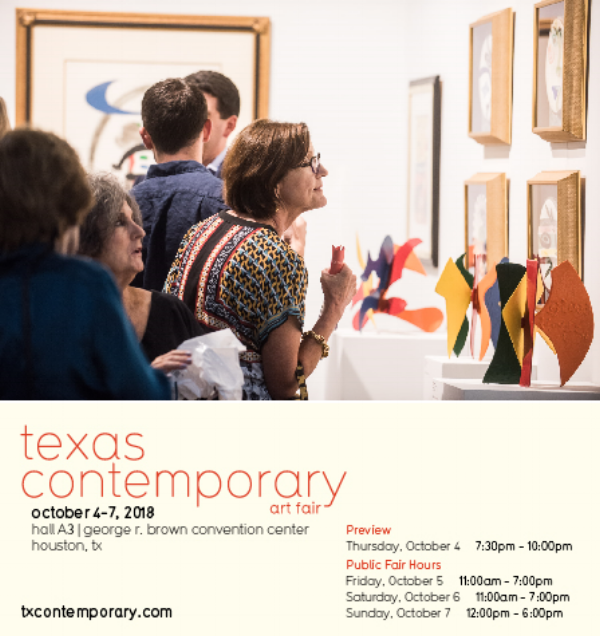 Texas Contemporary Art Fair returns to the George R. Brown Convention Center this October 4th through 7th for its seventh edition, with compelling presentations of modern and contemporary art pulling from dealers and designers from around the world. Expanding this year to accommodate seventy-five exhibitors, Texas Contemporary Art Fair 2018 will be Houston's premier art fair. As JASH is serving as a fair Cultural Partner, members can download their Complimentary 1-Day Pass here. 1-Day Tickets provide FREE entry to one day of Texas Contemporary Art Fair during public hours. To learn more at the fair, visit txcontemporary.com. San Francisco serves as the home for the Avery Brundage Collection of Asian Art. From his early life in the industrial cities of the Midwest to his leadership of the International Olympic Committee, Avery Brundage led a life of international prominence and fame that exposed him to some of the world’s greatest works of art. With the assistance of scholar and connoisseur Rene-Yvon d'Argence during the middle of the 20th century, Brundage amassed one of America’s most prominent collections of Japanese art. This talk given by Dr. Robert Mintz, Deputy Director, Art and Programs, Asian Art Museum, San Francisco, explores Brundage’s history as a collector of Japanese art and features some of the works that have made the collection, now housed in the Asian Art Museum of San Francisco, worthy of its fame as one of America’s great collections of Japanese art. **The program will take place on the mezzanine level of the MFAH Beck Building. Plan ahead for your visit with parking information. Thank you for your interest learning more about Avery Brundage and Japanese Art at the Asian Art Museum. We look forward to welcoming you to the event on Monday, September 24. Robert Mintz, a scholar of Japanese Art with a deep interest in cross-cultural artistic traditions, is the Deputy Director of Art & Programs at San Francisco’s Asian Art Museum. 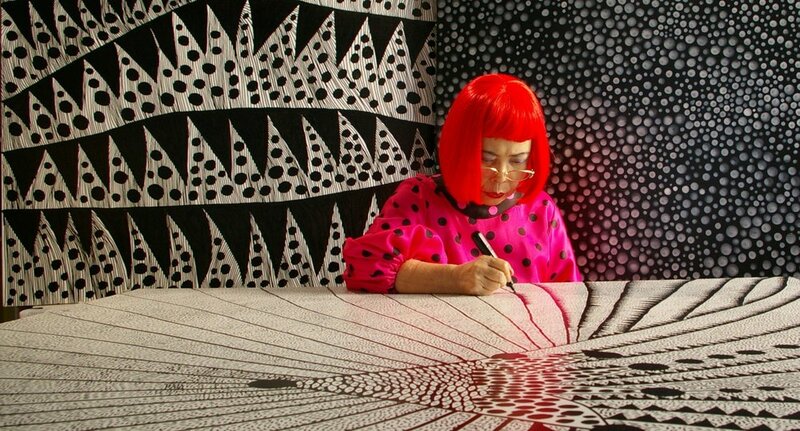 Mintz's career began as a visiting professor at Central Washington University and the University of Washington, and the gallery director and a lecturer at Seattle University. In 2006, he joined the Walters Art Museum in Baltimore as a curator in the museum’s Asian art department and rose to the role of chief curator, assembling exhibitions about Japanese decorative arts, contemporary Asian art, and woodblock prints, among other topics. Mintz has also written books about Japanese ceramics. The Museum of Fine Arts, Houston, in collaboration with Project Row Houses, presents a lively and thought-provoking selection of short films that includes the Houston premiere of BORN WITH IT. The award-winning film by JASH Member Emmanuel Osei-Kuffour, Jr. tells the story of young Keisuke, a half-Japanese, half-black boy intends to prove to his new Japanese classmates that dark skin is not a disease. Director - Emmanuel Osei-Kuffour, Jr.
Born and raised in Houston, Emmanuel Osei-Kuffour, Jr. received his bachelor’s degree in film studies from Stanford University and his MFA in film at New York University’s Tisch School of the Arts. He started his career in Japan, where he developed a passion for telling human-centered stories. His films have won awards at more than 50 film festivals, including Cannes, Palm Springs, and Toronto. Activities ranging from traditional dancing, storytelling, and craft making have been planned. JASH and the CGJ need your help making sure the event goes off without a hitch! Sign up to volunteer below. Two (2) volunteers shifts are available. Volunteer registration has closed. Please come by the Children's Museum from 10AM-3PM on July 7 to take part in all the fun activities. A special 3-day theatrical event comes to Houston on July 3, 5 and 7! Watch producer Genki Kawamura's FIREWORKS, the follow up to his mega-hit Your Name, on the big screen. Part Three in The Museum of Fine Arts, Houston's film series highlighting prolific Japanese filmmaker Umetsugu Inoue - Japan's Music Man. In The Eagle and the Hawk, actor Yujiro Ishihara plays Senkichi, a seaman seeking out his father's enemy. 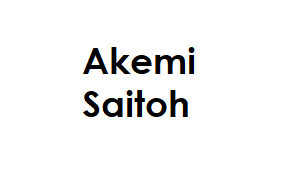 Senkichi's bad attitude immediately gets him into trouble with the crew, but he attracts the attention of the two women on board - a sultry stowaway and the captain's high-spirited daughter. Part Two in The Museum of Fine Arts, Houston's film series highlighting prolific Japanese filmmaker Umetsugu Inoue - Japan's Music Man. In The Winner, punk kid Yujiro Ishihara tries boxing, gets the tar punched out of him, then starts training for real. His manager is a former contender who sees the boy as a way to realize his own lost championship dreams. A special occasion calls for a special venue! The 2018 JASH ANNUAL MEETING has a new host! Join us at the home of the HOUSTON ROCKETS as we celebrate 50 years of JASH history in style! Come for the mixing and mingling. Stay for a special tour of the TOYOTA CENTER! Walk beyond the velvet rope and into the premium areas of Toyota Center for a special glimpse of the inner workings of the arena. Food and drinks will be available for all to enjoy. FREE for all JASH members. $25 for non-members. Registered participants will receiving detailed information regarding parking and point of entry prior to the event. Don’t miss your chance to see what the pros see! Register, by Tuesday, June 26, through the form below. Registration for the 2018 Annual Meeting has closed. JASH is pleased to support The Museum of Fine Arts, Houston as they bring Inoue's musicals to Houston in the three part series Umetsugu Inoue - Japan's Music Man. Part One is a screening of The Stormy Man stars Yujiro Ishihara as a young ruffian aspiring to be a drummer in Tokyo's Ginza jazz world. One of Japan's biggest hits of the last 1950s, young audiences cheered to Ishihara's lyrics "Ore wa doram, yakuza na dorama" ("I'm a drummer, a no-good drummer! ").